After installing your studs, it is very important to remember that the nuts securing your studs need to be re-torqued after you ride. The seating of the stud head and support plate, the compression of the track rubber, and the conditions of your riding terrain are a few of the factors that can affect your stud installation. Checking your studs and re-tightening your nuts helps ensure that your sled is operating at peak performance. 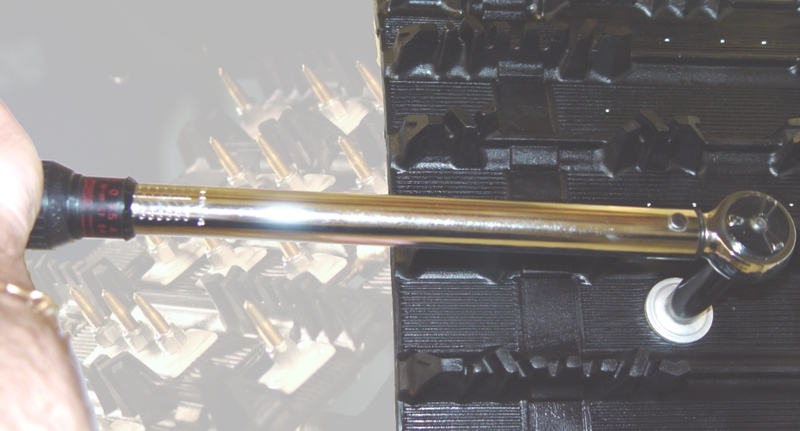 For Two-Ply studs (Gold Digger® Traction Master®, Mega-Bite®, Signature Series™, Trigger™), torque the nut to 15 ft.-lbs. For Single-Ply studs (Grand Master® and Grand Master Pro™), torque the nut to 30 ft.-lbs. If any nut shows signs of compression be sure to replace it with a new nut. Contact Woody's Technical Support for further details.